Another fresh NYA BD Live download is now available. We haven't pulled it yet but will do so soon. We're hearing that it's vintage Buffalo Springfield and some other goodies. Hopefully, this satisfies those who have been clamoring for more NYA BD Live downloads. 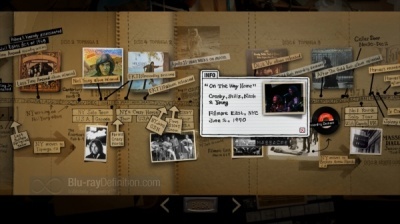 For more, see Fresh NYA BD Live Download Now Up (Cinnamon Girl from Fillmore, March 7, 1970), commentary on Neil Young Archives bonus material, and sticky thread on NYA Easter Eggs, Virtual Bongs, and Hidden Tracks. I approve! Thanks! It's a good one. can someone please post the contents of the download for those who dont yet have the full BD scene set up? To heck with the BD-live.When's The Trunk Show and Dreamin' Man comin' out?Hopefully BOTH will be available on Blu-ray. Wonder why it's dated 7/24? DM's coming out on the announced release date. TS is coming out when it's announced to come out. As for DM on BR, might be a lack of visuals? I have bluray , but not connected to net yet, so am looking forward to having a lot of stuff to catchup and listen to when I get it up and running. I dont think we will be hearing much from the BD live sceptics anymore. This always sounded like a great feature to me , and now its starting to add up. It was well established before the NYA came out that only the Blu-Ray version had the extra downloads, and Neil himself said this is one of the reasons why he recommends we buy it! He also said, "Don't say I didn't warn you!" we cant all be as rich as Neil and Carter can we Phil_AUT? Don't worry our day will come. Hey Thrasher re: Dreamin Man on Blu Ray. The visuals are just there to enhance the music. What the Blu Ray is all about in the high resolution audio, so I don't think not having enough visuals will be too much of a concern. I'm still waiting for the first 4 and Fork on Blu Ray! The last 3 downloads were attached to Post Informers dated 7/24/09. This is a hopping good download. The vocals are definitely saturated and this inhibits one from really cranking the volume. But the energy of the Springfield Live really comes through. I've been able to rip all the audio of the extras and BD-Live via my DVD recorder. My PS3 is connected to one of the inputs on my HDR and I can record audio @ 48 kHz/16 bit. I then rip the files to a DVD-R, rip the audio files from this disc and then import the wav files to iTunes for transfer to miPod :-) It takes times but it works. Looks like BD might be rollin now. Lots of full moons ahead! It would be really cool if periodically (once a year or so), the archives team allowed an MP3 download of all new BD downloands to BD owners ... Neil's view has been if you paid for the premium content ('ie' BD) he's willing to allow 'free' MP3 quality access ... we saw that when we bot the original archives set with the download card and it would be infinutely cool to have similar access to the new BD downloads. Also, it would dissuade people from trying to bootleg the BD content which is also a good thing. Does anybody know why all the BD-Live downloads since post informer #1 on June 2nd have all been labeled as #2 with the date July 24th??? ?